Phillies Great Mike Schmidt. Over his career, entirely with the Philadelphia Phillies, Michael Jack "Mike" Schmidt set a vast array of hitting and fielding records. In addition to his three Most Valuable Player Awards, he won ten Gold Gloves, led the league in home runs eight times, in RBI four times, OPS five times, and walks four times. He was named to the National League's All-Star team twelve times. He finished his career with 548 home runs and 1,595 RBI, both Phillies career records. In 1995, Schmidt was inducted into the Baseball Hall of Fame. In 1999, he ranked number 28 on The Sporting News's list of the 100 Greatest Baseball Players, the highest-ranking third baseman, and the highest-ranking player whose career began after 1967. Later that year, he was elected to the Major League Baseball All-Century Team. In tribute, the Phillies retired Mike Schmidt's number in 1990. In addition, he has been honored with a statue outside the third-base gate at the team's home, Citizens Bank Park. 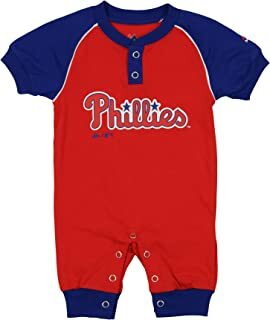 The Philadelphia Phillies are a professional baseball team (MLB) based in Philadelphia, Pennsylvania. 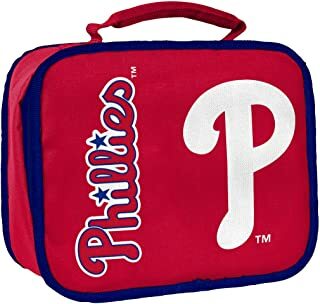 The Phillies compete in the National League (NL) East division. Since 2004, the team's home has been Citizens Bank Park, located in South Philadelphia. We spotlight Philadelphia Phillies players of yesterday and today. Here's a link to the complete current roster. 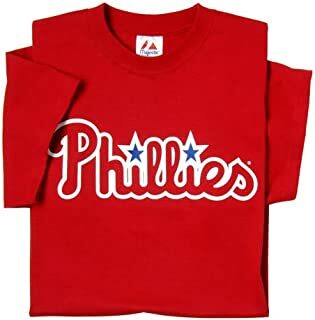 You will find a huge selection of men's and women's Philadelphia Phillies apparel and other Philadelphia Phillies merchandise at Ace's Baseball Store.